Water has been at the core of our work at Wildsight for 30 years. 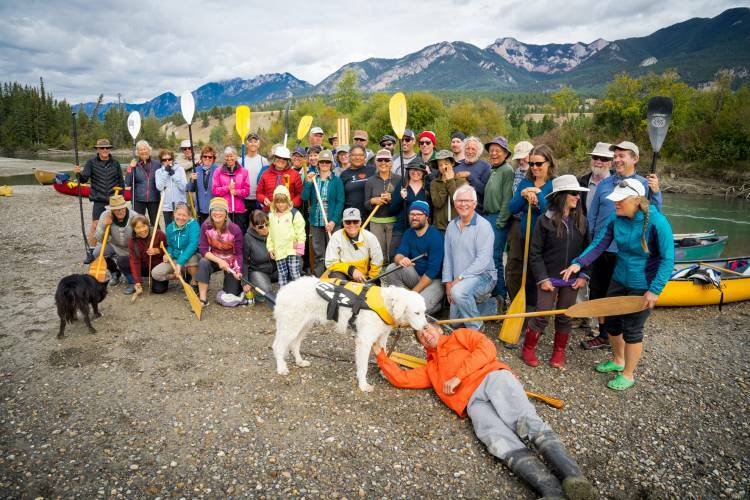 To celebrate our 30th anniversary and the enactment of the full suite of federal boating regulations on the Columbia Wetlands, the culmination of 16 years of work, we gathered late this September to celebrate with a group paddle through the wetlands. 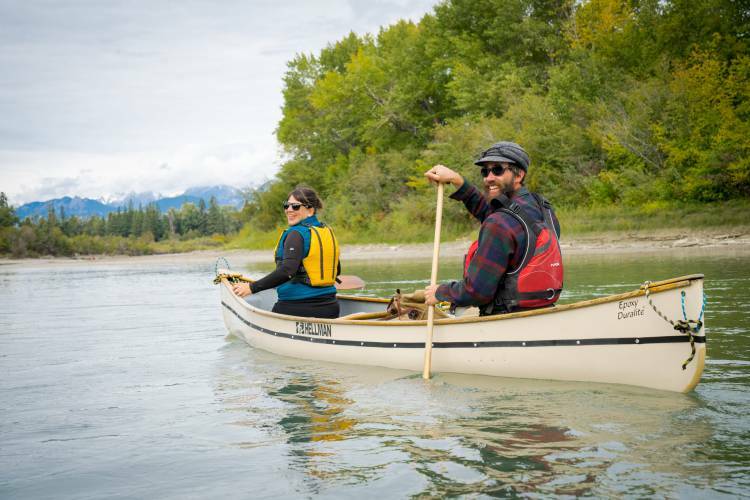 Over 40 people in canoes, kayaks and stand up paddle boards joined together for the beautiful journey through the wetlands from Invermere to Radium, including local MP Wayne Stetski. We paddled together to celebrate the passion, dedication and hard work from so many, especially Ellen Zimmerman (subject of our recent interview), that went into protecting the Columbia Wetlands—and the many birds that call the wetlands home—from damaging fast-travelling boats. Robyn and Pete paddle the wetlands. At 180 km long, the Columbia Wetlands are one of the longest intact wetlands in North America and provide habitat for far too many important species to name. Within the first few hundred metres of our paddle, we saw four great blue herons. Not long afterwards, bright red kokanee swam below us, heading upstream to spawn. And at our lunch break, while we said a few words to recognize the tireless efforts that went into protecting the wetlands, five tundra swans flew overhead. It was nothing short of magical. When we work to protect the special places that we love, our purpose drives us forward every day, but it can certainly be a long grind (we’ve been fighting to keep Jumbo wild for a generation). Environmentalism is all about community—working together is what keeps us going. Our wins can come at seemingly random moments, but they always come from the dedication of many. The night before the paddle, we gathered with many who’ve fought the good fights over the years to share a dinner in the Wilmer Hall. 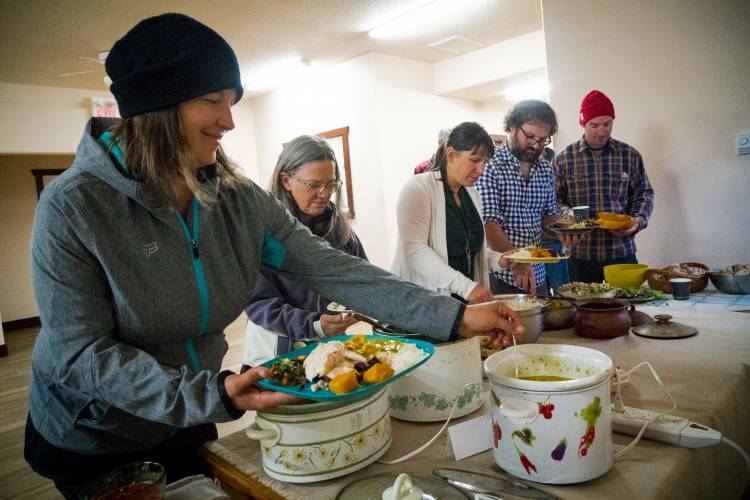 We’ve changed a lot since the 80s, but crockpots and camping plates are still an essential part of our ongoing story. After dinner, we gathered in the basement to watch old VHS videos from the 1990s, when Wildsight was the East Kootenay Environmental Society. Gathered around the TV screen, we listened to voices from the past talking about what it was that got them involved in environmental work and why it was so important. Their words certainly rang true 20 years later (especially for those who were still there with us)! Paddling through the wetlands the next day, I was glad to have a chance to celebrate the many years of work and the dedicated people that made sure this special place is protected. Join us! Become a Wildsight member today. Robyn Duncan, an EKES/Wildsight member since she was a child, is our Executive Director. All photos by Pat Morrow. 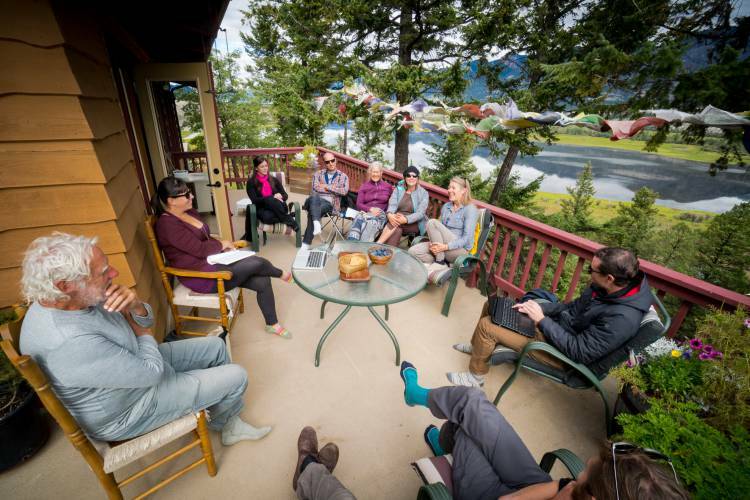 The best meetings are held outside.